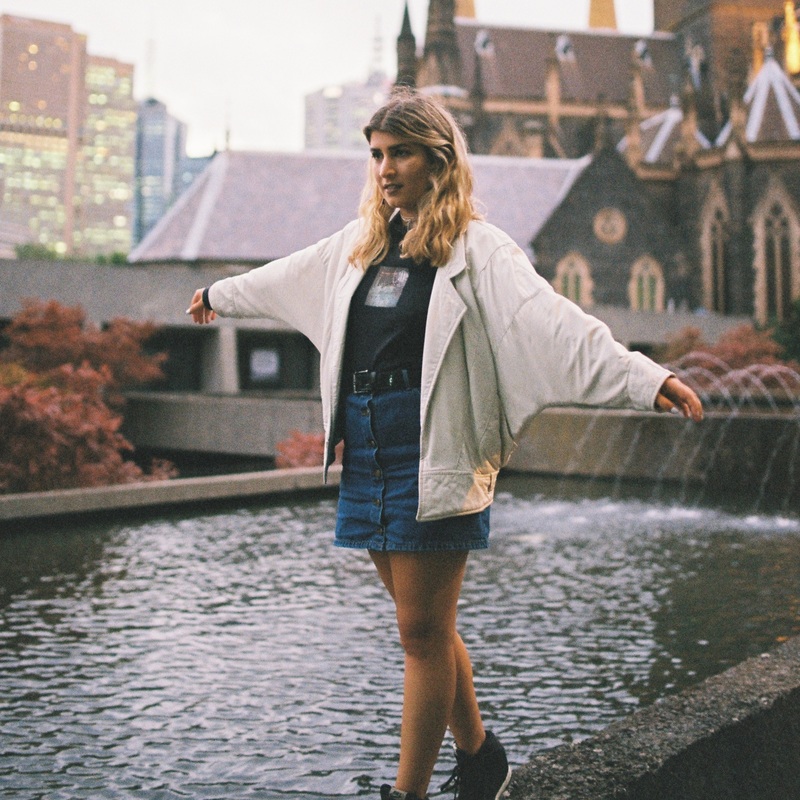 Get to know Belle Noble, a hot new R&B/pop talent out of Melbourne who’s just dropped her sizzling debut single ‘Instinct’. In our latest feature, Belle gives us an extensive list of tracks she’s loved throughout her life, reveals her musical queen and we show you her stunning debut music video. 01. Name : Belle Noble (short for Isabelle). 02. Where are you based? Melbourne currently. I spent a year living in New York and I grew up in Sydney and Noosa, so I feel like my base is quite transient. 03. How did you get your start in music? I’m told I could sing before I could speak, so I guess it’s always been in my blood. My dad worked on ‘Countdown’ back in the day – as a result he has a monster record collection, so I grew up listening to a vast compilation of music, and from that my music obsession was formed. 04. Give us five words to best describe you as an artist. Honest, empowered, sassy, beat-driven, girlboss. 05. Tell us a little bit about your sound and how it developed. I was always a singer but it wasn’t until I did work experience in high school that I realised I didn’t just want to sing songs, I wanted to write those songs and then produce the soundscapes I heard in my head. I started recording on Garageband, experimenting with all kinds of sounds and loops, and as I got better I switched to Logic Pro. When I lived in New York I did a night course in Ableton Live, so that’s my number one now. I’ve always been into creating beats, interesting textures and lush soundscapes but working with producer Jack Prest on ‘Instinct’ really helped take my sound to the next level. 06. Who have been your musical influences? Oh man, so many. The Beatles were a staple of mine from birth essentially and their songwriting really inspired me. Kanye West’s ‘808s and Heartbreaks’ album was a huge influence on me production-wise, as was Amy Winehouse’s ‘Back To Black’ and Justin Timberlake’s ‘FutureSex/Lovesounds’. Beyoncé is my absolute queen and has played a huge role in developing my confidence as a singer and performer. Later influences include Frank Ocean (the love of my life), MØ and The Internet. 08. What was the first album you bought? Um, obviously Savage Garden. 09. Give us a little fun fact about yourself that people might not know. When I lived in New York I worked in reality TV production. 10. What would your chosen career be if music wasn’t an option? It would be amazing to work for an international organisation that supports and empowers underprivileged and marginalised women. 11. What’s the best advice you’ve been given in your career? You need to back yourself 100%. Create art that resonates with your soul, is authentic to you, and don’t be afraid to be honest. 12. Tell us about your latest release. ‘Instinct’ is my debut single and it’s the first track off my EP (dropping later this year). It feels right that my first release centres around instinct, intuition and empowerment. The music video was so much fun to make and I am honoured I got to work with creative geniuses Jessie and Adam from C-KOL. We really wanted people to feel the message and found that movement/dancing was a perfect visual representation for the song. 13. What do your future plans involve? I’m dropping my first EP later this year, and I plan on doing some shows in Sydney and Melbourne. It’d be dope to get back to New York and do a show there at some point. 14. Where can our audience catch you live? Melbourne in a few months! Details to be announced soon so keep an eye out on social media.